Let’s keep it simple. Win and the pens are in. Lose, and well, things get more complicated. I don’t want to talk about complicated, honestly, I don’t even want to think about it. So just win. Win. Win! Win!! Malkin will be a game-time decision after missing two weeks with an upper body injury. Malkin was out for 8 of those 9 games. The loss to Penguins offensive game, both 5v5 and PP, as a result of Malkin’s absence can’t be overstated. Come back Geno. I’d bet Phil’s nut that Geno plays tonight. Expect McCann to return to Sid’s line and Geno to slot in with Phil. Second, the wounds from Tuesday night are still more raw than Ung’s mom’s last pap smear. The pens shooting percentage was a miserable 2.6% compared to a season average of 10%. Murray didn’t help by posting a .880 sv%. 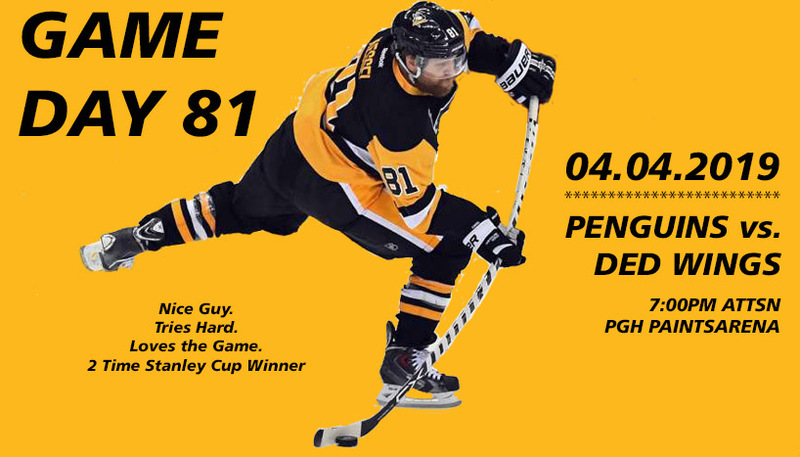 For those of yinz who subscribe to PDO as a measure of luck. 90.6 is pretty dang unlucky. Even if you don’t buy PDO, those percentages aren’t gonna win you many, er, any, games. On the flip side of that coin, the Wings posted a 15.4 shooting percentage, and a .974 sv%. Their season averages in those two categories are 9.5 and .905 respectively. In other words, they radically outperformed their historical stats, and the pens radically underperformed theirs. 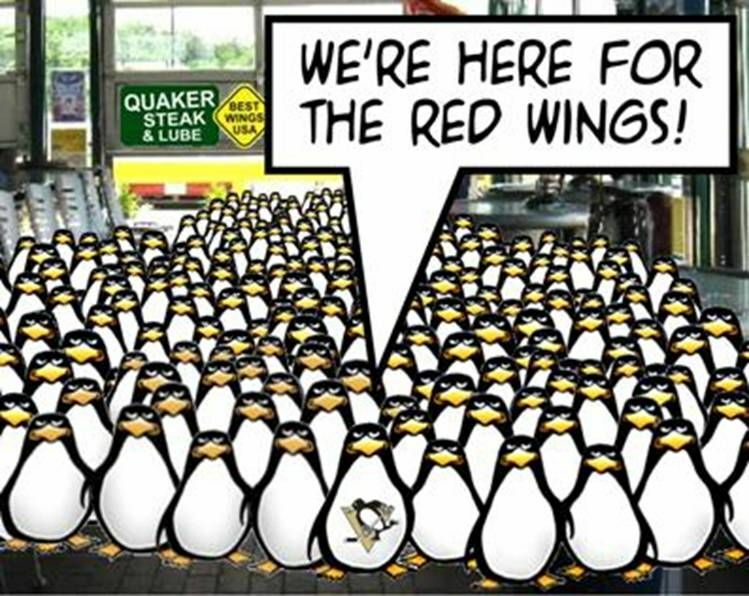 I refuse to breakdown the scenarios, because if the pens WIN!, it doesn’t matter. So win, win already! Little Caesar’s pizza tastes like stale raccoon turds. Get fucked Detroit.